When it comes to commercial leasing, Arthur Menor wrote the book — literally. Board-certified in real estate law, Menor is the author of the “Leases” chapter of the Florida Real Property Complex Transactions Manual for The Florida Bar and has updated it through four editions. Menor’s parents, James and Mary Beth, met in Milwaukee, but in the late 1950s moved to Homestead where her father owned several rental houses. Menor was born in Homestead, but the family soon moved to Palm Beach County after his father went to work for and later bought the Lake Worth Monument Company, which is still in operation and managed by Menor’s brother Fred. Menor became a partner with the firm in 1986 and managed the office until 1993. “After Wien’s death, the firm started to change, and I felt there would be better opportunities with a Florida firm,” he says. Menor joined Shutts & Bowen, which had about 12 attorneys in its West Palm Beach office at the time. Today, there are 30 lawyers in the office. 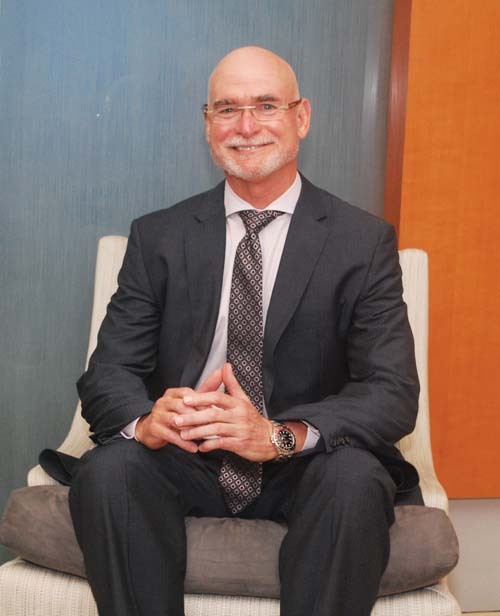 During his 34-year career, Menor has handled virtually all aspects of real estate including litigation as well as transactions. He has also been deeply involved in the Real Property, Probate & Trust Law Section of The Florida Bar, currently serving as chairman of the Commercial Real Estate Committee, and previously chairing for many years the Landlord/Tenant Committee. He’s also chaired Bar seminars on topics like landlord and tenant law, “Eviction Nuts & Bolts,” and drafting commercial real estate contracts. Menor is also a fellow of the American College of Real Estate Lawyers, and organized the program for the organization’s annual meeting in Boston this fall. For the past decade he has focused primarily on commercial leasing and acquisitions and dispositions of office buildings. “I like putting deals together, and I have built my reputation in those areas,” he says. A past president of Big Brothers/Big Sisters of Palm Beach County, Menor also serves on the boards of the Economic Council of Palm Beach County, the Business Development Board of Palm Beach County, and was the first chairman of the Housing Leadership Council, which honored him with its “Heroes of Housing’” award. When the housing affordability problem was reaching crisis proportions in Palm Beach County in the mid 2000s, Menor chaired a workforce housing committee created by the Economic Council. That led to founding of the Housing Leadership Council in 2006 as a nonprofit dedicated to finding solutions. Since then, the council has leveraged more than $30 million in funding for affordable housing projects and contributed to comprehensive, meaningful policy changes, says Suzanne Cabrera, president and CEO. “Art was instrumental in establishing the organization and building a firm foundation to ensure the HLC would not only survive but thrive during the recession,” she says. When not practicing law or volunteering his time, Menor enjoys running, golf and yoga. He also serves on the University of Florida Real Estate Advisory Board and speaks regularly to legal groups about real estate issues.